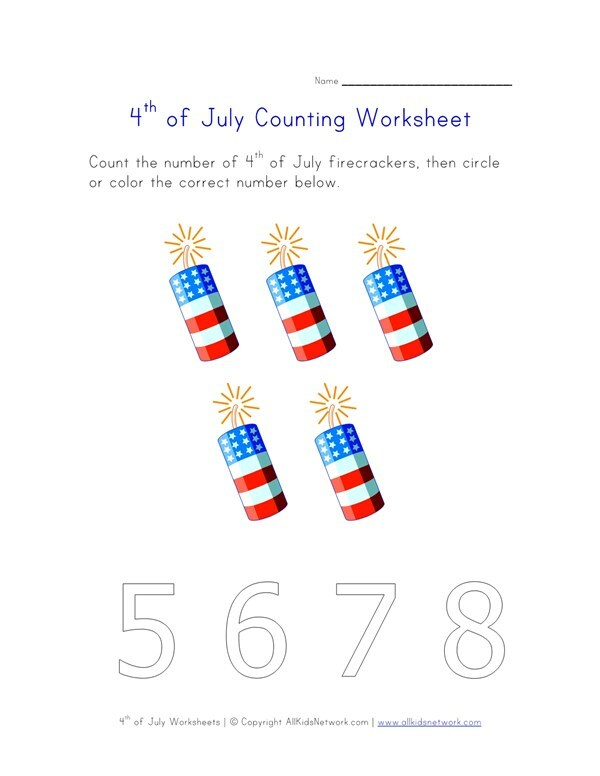 Help kids practice counting to five (5) with this 4th of July worksheet. 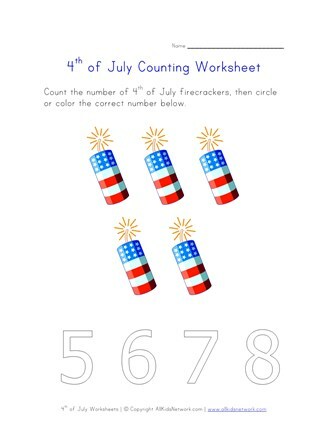 Children are asked to count the number of 4th of July flags they see on the page and then circle or color the correct number. Print this worksheet out with the rest of our 4th of July worksheets to do with your kids!